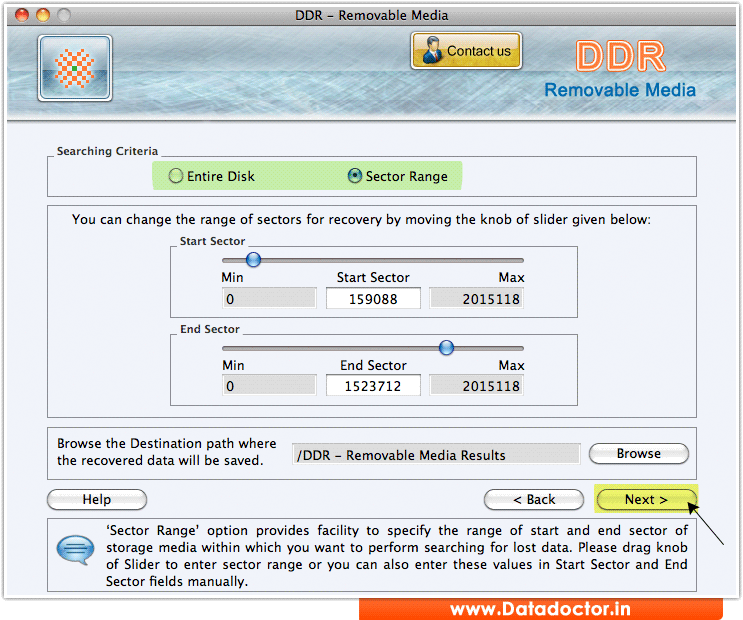 Select option “Sector Range” in Searching criteria then set the Range of Sectors (Start Sector and End Sector). Click on “Next” button for searching lost data. 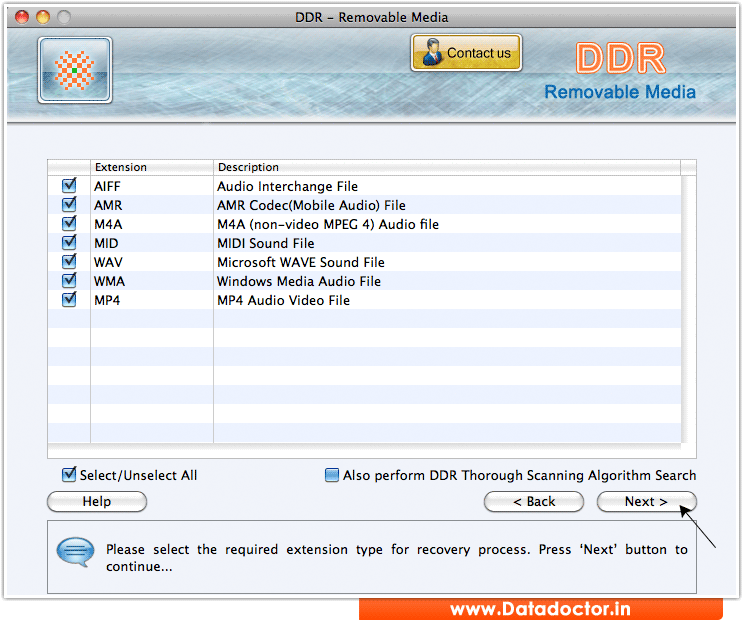 Select required or all extension types for data recovery process. Press “Next” button to start searching process. 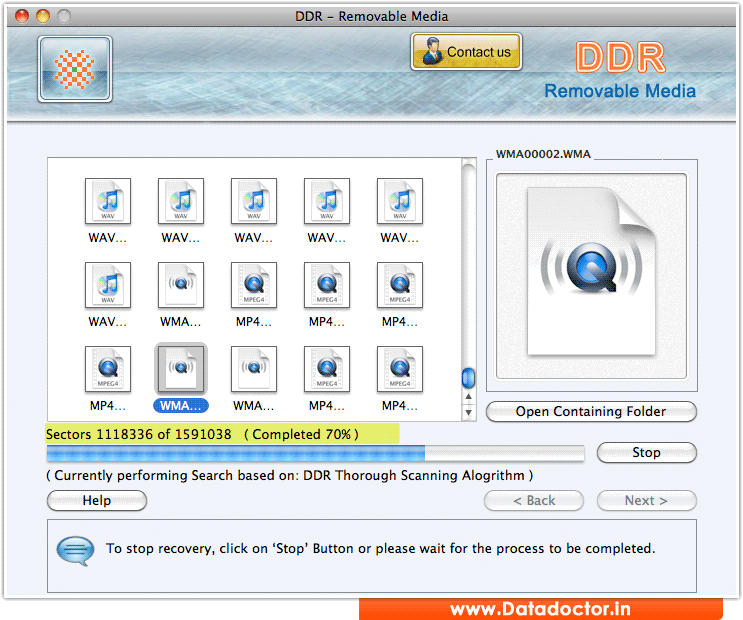 Screenshot shows progress bar of searching lost files recovery process.